Home - Mickey, Wilson, Weiler, Renzi & Andersson, P.C. Home - Mickey, Wilson, Weiler, Renzi & Andersson, P.C. Providing Legal Services To Individuals, Businesses, And Local Governments Throughout Northern Illinois. Mickey, Wilson, Weiler, Renzi & Andersson, P.C., with legal roots dating back to 1946, is steeped in the long-standing tradition of providing exceptional legal services to clients throughout northern Illinois. Our experienced team of attorneys have been committed to collaborating with our clients, ever since, to achieve outstanding, comprehensive, and creative solutions to the vast array of legal issues that individuals, businesses, and public bodies face every day. MWWR&A offers "virtual" legal services for certain estate planning; life care planning; and business law matters. 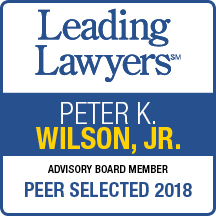 Peter K. Wilson, Constance Renzi, Steven A. Andersson, and Richard T. Petesch have been selected as Leading Lawyers in Illinois. 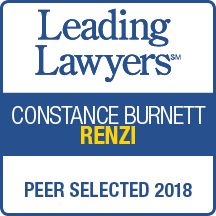 Catherine E. Lenert and Constance Renzi have been selected as Super Lawyers in Illinois. Steven A. Andersson proudly served as a member of the Illinois House of Representatives representing the 65th district. The 65th district is located in northwestern Kane and Southern McHenry Counties.